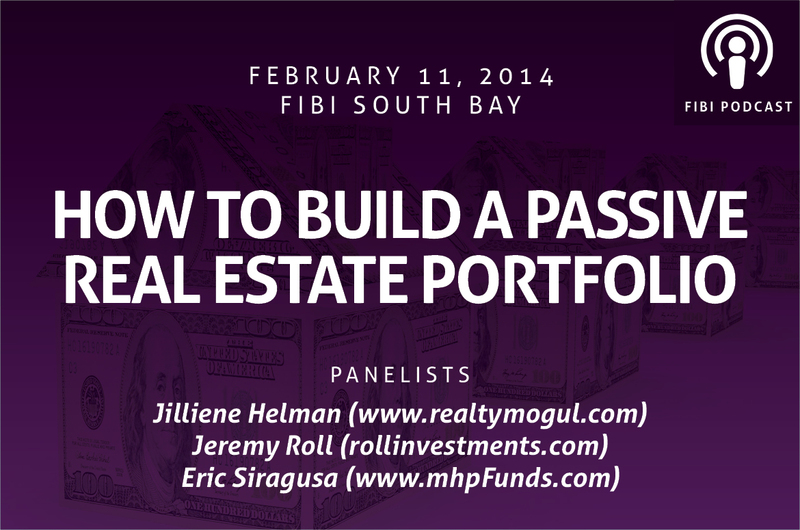 On February 11, 2014, FIBI South Bay brought together expert panelists Jilliene Helman (www.realtymogul.com), Jeremy Roll (rollinvestments.com) and Eric Siragusa (www.mhpFunds.com) to discuss how to build a passive real estate portfolio. Listen in for in depth conversation from the panelists who openly and honestly discuss how they invest. Each gives some great advice about the current syndicated marketplace and what they do when analyzing a deal.